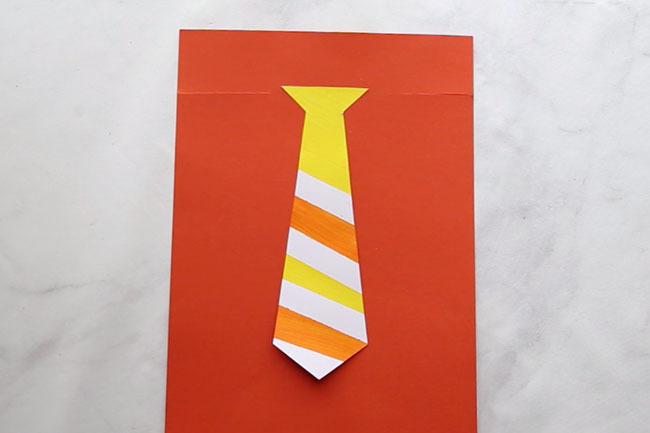 Father’s Day is coming up so we’re sharing this fun shirt card which can be customized with your very own tie! 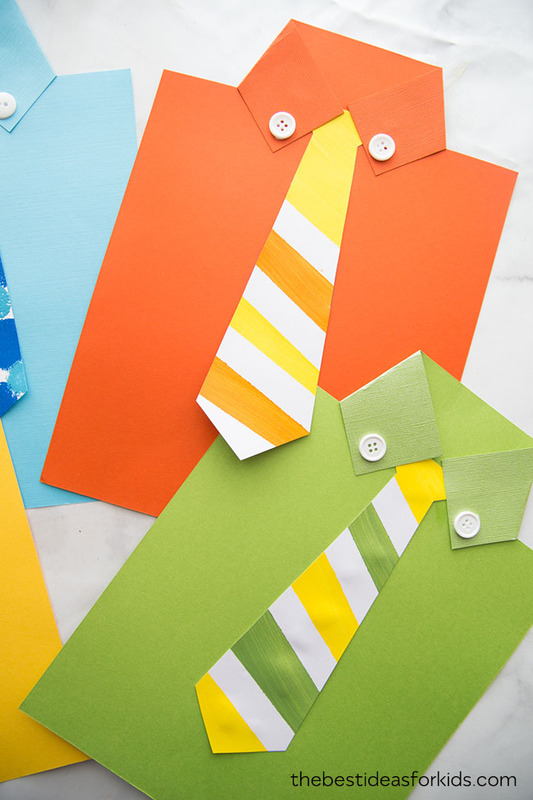 We’ve made this really simple for you with a free printable tie template PDF. 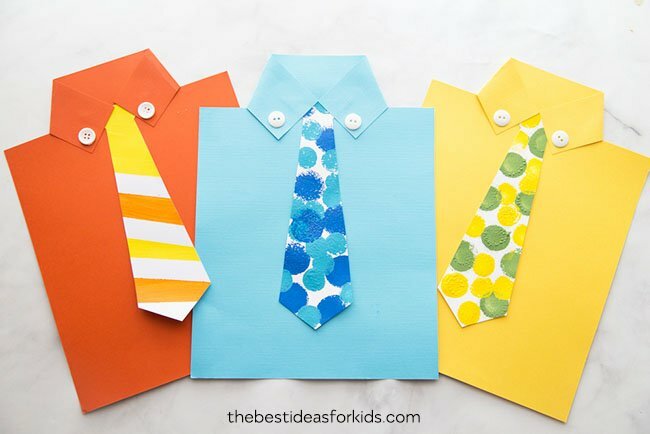 All you need is some paper, paint and our free tie template and you can turn it into the best handmade Father’s Day Card! 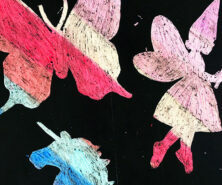 We love that kids can paint or color this tie template on their own! 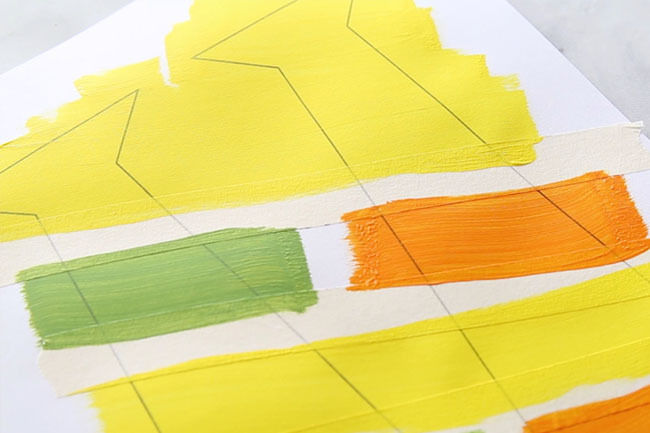 We painted the template using two different techniques, but you can also color with pencils, markers or crayons too. 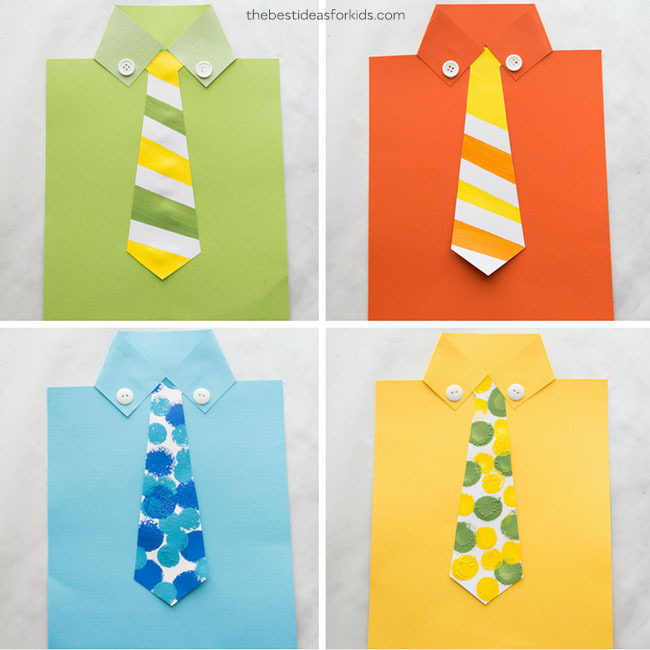 You could also keep it plain and just print the tie on colored paper. 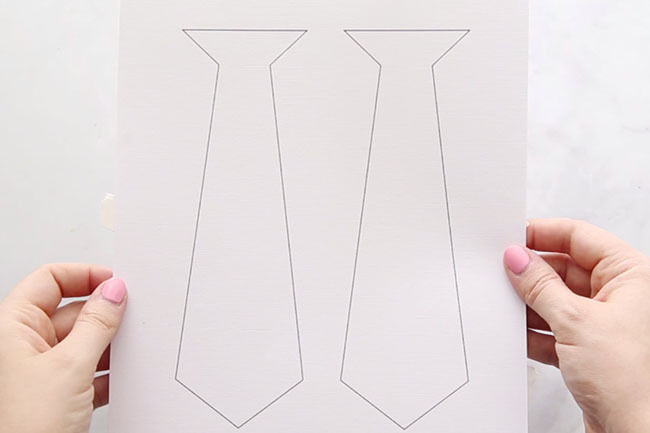 Here is the preview of the free printable tie template – please scroll down to the bottom of this post to get the full resolution PDF sent to your inbox. You can get the free template by becoming a newsletter subscriber. 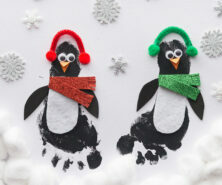 NOTE: Do not print this image – it is low resolution and not sized for the card. This is for presentation only. Under the tie you can write a special message to Dad for Father’s Day. You can simply write Happy Father’s Day or you can have kids write things that they love about Dad! – Glue – we like this brand of glue for gluing on buttons which can be hard to stay with regular glue. – Tie Template – free template is available to all subscribers. 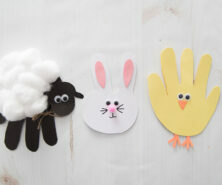 Just enter your email at the bottom of this post and you’ll get the free printable delivered straight to your inbox. 1. 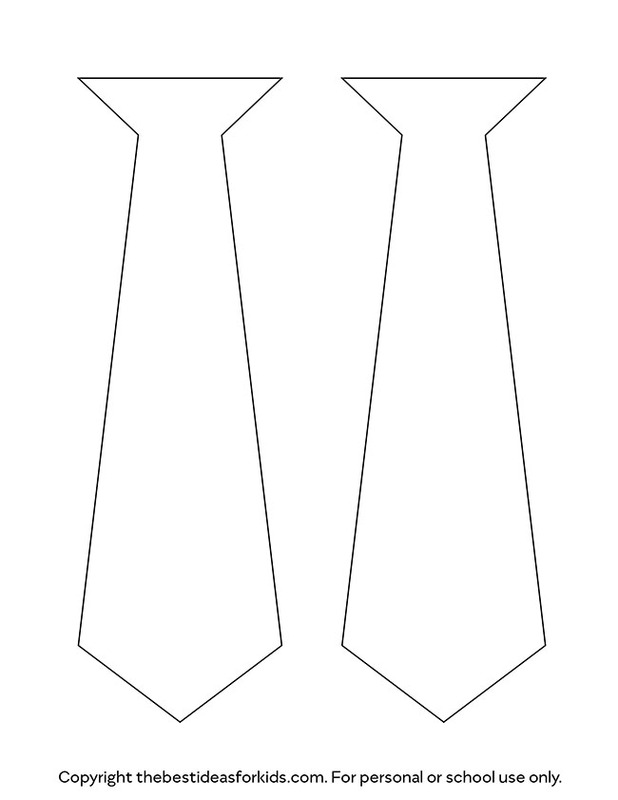 First print off your tie template on white cardstock (you can get the details to download the template at the bottom of this post). 2. Now have kids decorate the ties! 1. 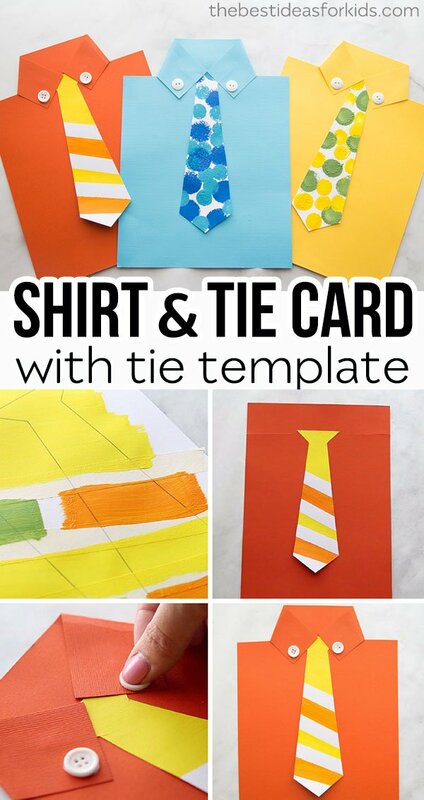 Place some masking tape diagonally along the ties and then paint in between to make an easy striped tie. 2. 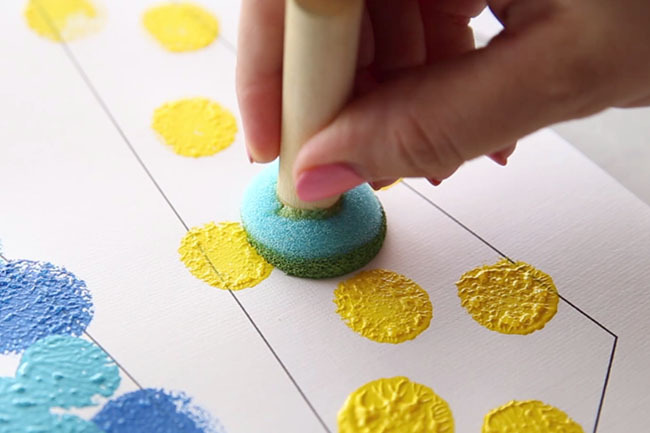 Use some paint sponges and make a polka dot tie. 3. Now to make your shirt. Using an 8.5×11 cardstock cut two slits at the top of the paper about 1.5 inches down. Glue your tie to the center where the slits are. 4. 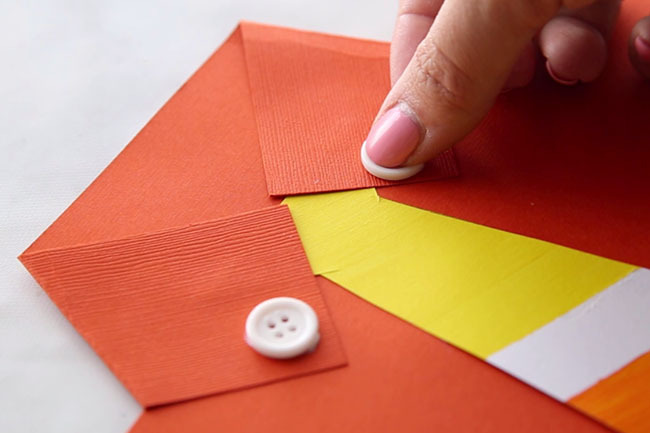 Then fold your two cut pieces towards the tie and glue down. You can then glue your buttons on top. Tip: We like this brand of glue for gluing on buttons since it’s much stronger than regular glue. 5. Now write your message under the tie! To make sure you don’t go over the place where the tie rests, use a pencil to make a fine outline around the tie. Then write your message inside the outline and erase the pencil markings when you’re done. Sign up for our Newsletter and get this Tie Template as a Thank You! 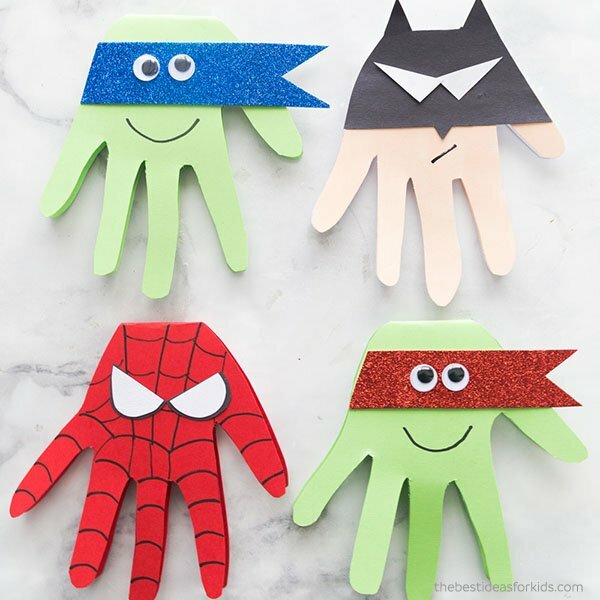 These Superhero cards are perfect to make for Dad for Father’s Day! 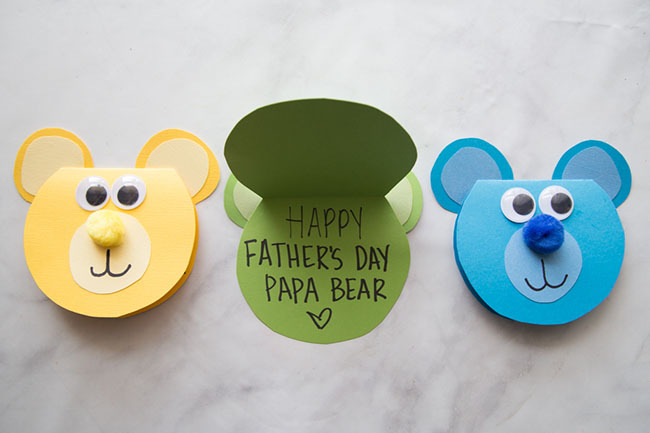 This Papa Bear card is so cute! Perfect if you call Dad “Papa Bear” or “Daddy Bear”.